MOSCOW, October 31. /TASS/. 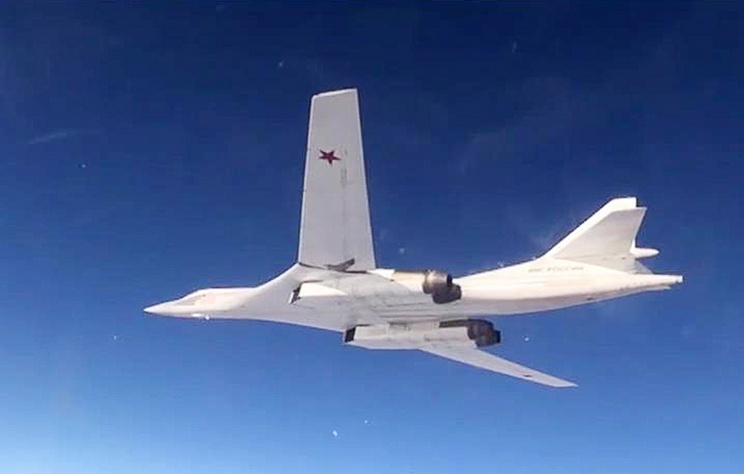 Two Russian Tupolev Tu-160 strategic missile-carrying bombers have ended their 10-hour-long flight over the Norwegian and Barents seas, while the Royal Norwegian Air Force’s F-16 fighters were escorting them on the route, the Russian Defense Ministry said on Wednesday. "Two strategic missile-carrying bombers Tu-160 have made a scheduled flight over international waters of the Barents and Norwegian seas. The sortie lasted for over ten hours. At some stages of the route, the Russian aircraft were escorted by F-16 fighters of Norway’s Air Force," says the statement. The defense ministry added that the aircraft of the Russian Aerospace Force landed at the home air base after the flight. Earlier, the Russian Defense Ministry pointed out that Russia’s long-range aircraft make regular flights over the international waters of the Arctic, the North Atlantic, the Black and Caspian seas and the Pacific Ocean. Russia’s Aerospace Force planes strictly comply with the rules of using international air space and avoid violating other countries’ national borders. 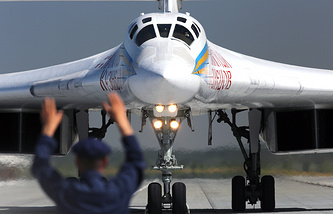 The Tupolev-160 (NATO’s reporting name Blackjack, Russia’s unofficial reporting name White Swan) is a Soviet-designed supersonic strategic missile-carrying bomber with variable shape wings. Alongside the Tupolev-95MS, it constitutes the backbone of the Russian Aerospace Force’s fleet of long-range aircraft. Its task is to hit crucial targets in remote areas with nuclear and conventional weapons. The Tupolev-160 is the largest-ever military supersonic plane and the heaviest combat plane in the world.